Read: Beach, R. (2012). Uses of Digital Tools and Literacies in the English Language Arts Classroom. [Article]. Research in the Schools, 19(1), 45-59. Read: Barab, S. A., Gresalfi, M., & Ingram-Goble, A. (2010). Transformational play: Using games to position person, content, and context. Educational Researcher, 39(7), 525-536. On Facebook, people seem to be attracted to the numbered list memes … such as 10 best places to visit in the world or more connected to our field, “10 Reasons Why Handheld Devices Should Be Banned” or “10 Reasons Why I Will Continue to Give my Children Handheld Devices” or even our reading for this week “What ‘Connected Education’ Looks Like: 28 Examples From Teachers All Over.” In the past week, I saw and read the first two examples about handheld devices on several friends’ feeds. They are both worth reading. An attribute of the numbered list meme is that the writer should be able to hone in on his/her points very quickly and succinctly.This week, you are asked to read these three readings assigned. To draw up deeper into the readings, you also will create a numbered list meme contribution for our class, based on these readings. If you are unsure or unfamiliar with this meme, then check out the examples I linked above. You’ll post your “5 or more items …” list in the Discussion Forum in this module. Some examples I can imagine creating might be “10 Reasons Why New Literacies is Education” or 10 Ways Games Make You Learn.” Be creative! You will not be able to see others’ contributions until you have posted your meme. Please see my next post for my own meme that I contributed to the class. My 15 students developed some amazing list memes on the topic! I will list them below (sorry for the long post but they are cool to read). Please forgive any small structural or grammatical errors – I did not edit them. One student, Kat Sauter, posted her meme, 4 Ways Young People are Geeking out Online, on her own blogsite, Project Star Blog: http://projectstarblog.com/2014/03/28/four-ways-young-people-are-geeking-out-online-and-how-to-incorporate-them-into-classroom-instruction/. For convenience, I repeat Kat’s meme here. A small group of our youth have learned to harness the power of the internet to develop specialized interests, and learn on their own. How can we help all of our students see the opportunities available to them online and use it to take classroom learning a step further? Throughout history writers have borrowed ideas from others, or outright stolen them. While we wouldn’t encourage our students to plagiarize, online fanfiction gives us an opportunity to build off of others ideas in our writing. Readers can alter or add to the stories they love, manipulating plots and characters. Teachers can embrace this movement by integrating fandom into their curriculum. Giving students a chance to practice performance as they adopt alternative identities as authors. Students can even add to each others writing, utilizing the affordance of digital tools for collaborative construction of knowledge. For more ideas on how to use fan fiction please check out Peter Gutierrez’s post in the School Library Journal. Youtube fashion sensation Bethany Mota, age 18, has more followers than Lady Gaga and her own fashion line. The internet has not only allowed us the ability to share our creations, but we are also able to combine other’s media to create. Young people are taking advantage of this opportunity on the web using video making, podcasting, and other creative outlets. “Adolescents are actively engaged in producing videos, with 64% of online adolescents engaged in some form of content creation, and with 28% operating as super- communicators, for example, creating videos to share on YouTube (Lenhart, Madden, Macgill, & Smith, 2007).” This skill of appropriation can be used to enhance classroom learning, allowing students to share their content with a public audience. Consider asking students to create a quick video using apps like Animoto, Wideo, or iMovie. 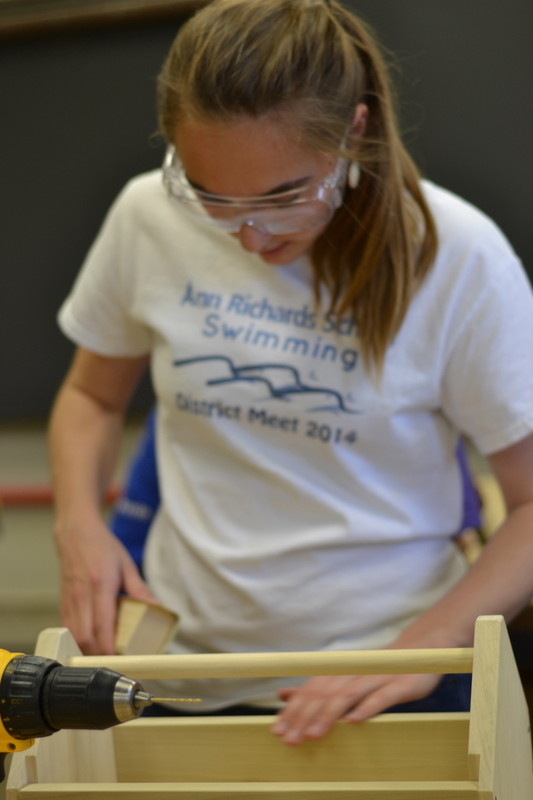 Sophomore, Meredith Oldham, describes her experience on a field trip to a woodworking shop at a community college through the Project VENTURA blog. Start blogging with your students. This could be as simple as a class blog, and can start private until you and your students feel comfortable sharing with the world. An excellent example of a student run blog from Project VENTURA at the Ann Richards School. But why would we spend classroom time playing when we know students do it at home? “Games are popular in part because they are fun. However, it is not simply their entertainment value that should be gaining the interest of educators. Instead, we have argued that it is the way games can draw players in, capturing their interest, time, commitment, and passion, that is the real value of the medium.” As teachers we can’t pass up the opportunity games allow, and with many edtech developers focusing their development on educational gaming the options are growing. For inspiration check out Time’s 6 Unexpectedly Entertaining Educational Video Games for Children. Create a national funding program with businesses and government to provide technology tools and equipment to low-income schools. Provide monetary or other incentives to school districts to integrate the use of digital tools in the classroom. Provide in-depth training for faculty and administrators. Redesign classroom spaces to include on-campus and off-campus activities through the use of collaborative learning and other group activities. Create a network of teachers by subject matter for exchange of implementation ideas. Use grade-level teams to integrate online activities across subject matter, resulting in a multi-subject collaborative project/study. Encourage student use of cell phones and other personal mobile devices for classroom activities. Educate parents on the value and use of digital tools. Create “expert panels” in each school to include teachers and students to be a resource for others. I guess this one makes sense: technology isn’t going to be a big hit with schools that have drawn boundaries for its usage. Firewalls, filters, and strict school policies are the culprit here. A 2011 report from Project Tomorrow indicated that 53% of middle and high school students are not able to use cell phones, smart phones, or MP3 players in their schools. The study also indicated that the technology usage of 71% of high school students and 62% of middle school students would be enhanced if access to online content was not blocked. Makes you wonder whether these “safeguards” are hurting more than they’re helping. Apparently, even when teachers are able to use technology in the classroom and choose to do so, they’re total buzzkills. The same report by Project Tomorrow noted that these teachers mainly use technology for homework and practice, with smaller minorities tending to use it for facilitating group collaboration (that’s not so bad!) and tracking effort to achievement (yawn). Potentially more fruitful exercises, like engaging in critical inquiry or producing digital content for audiences outside the school, seem to be woefully neglected. Here’s another no-brainer: people can’t do something they don’t know how to do. This applies to technology use in the classroom as well; according to a 2011 survey of 1,411 U.S. literacy teachers by Hutchinson & Reinking, nearly 82% of teachers that a lack of professional development on integrating technology in the classroom has prevented them from actually doing so. Some people have tried to remedy this problem through decontextualized, one-shot workshops, but these aren’t nearly as effective as long-term collaborative activities, which demand constant engagement with the technology and increased use of digital tools in the classroom as a result. Now, make it your mantra and say it with me: constant engagement…constant engagement…constant engagement…kind of rolls off the tongue, doesn’t it? Give up? The answer is time (“The Kraken” is also an acceptable answer), and studies show that teachers are all out of it. According to a study done by Blocher et al. in 2011, 73% of teachers reported that they do not have time to teach students the skills needed for complex tasks. Of these 73%, nearly 46% confessed that this lack of time was chiefly due to their own ability to use the technology (hearkening back to #3). Is it just me, or is there a logistical pattern here? Lack of time, lack of knowledge, lack of engaging application—all of these are things that could be fixed with the right resources. The grip of the perennial socioeconomic divide is as strong as ever, and it has consequences for Internet usage and proficiency in school. A 2008 paper by Hargittai & Hinnant found that class differences and access issues are more likely to result in a difference in Internet skills, particularly in low-income schools where ELA instruction often is built around teaching for mandated reading and writing state assessments based on print literacies, as opposed to teaching digital literacies associated with online reading comprehension or digital communication. As an example, collaborative technologies like wikis were relatively underutilized by students in low-income schools compared to higher-income schools. This is a logical byproduct of limited access to these technologies. Despite these findings, there are promising prospects on the horizon. Barron & Gomez noted in a 2009 study that when low-income schools created special after-school programs focusing on the uses of digital tools, as evident in the urban Chicago Digital Youth Network program, students in those programs reported a wider variety of technology tool use and fluency than did a Silicon Valley comparison group with high home access. Moreover, disparities in issues of costs of computer access are being addressed through the increased use of less-expensive mobile devices/tablets for learning given the fact that 75% of students aged 12 to 17 own a cell phone or a smart phone. 1. Development of collaborative problem-solving, reflection, and critical evaluation skills (Barab, Gresalfi, & Ingram-Goble, 2010) as well as decision-making skills, an understanding of the consequences of actions, and transformative learning (Barab, Gresalfi, & Ingram-Goble, 2010). 2. Game creation and play can require social interaction with peers in a global context that spans many races and socio-economic status (Beach, 2012). 3. Interest-driven engagement that can lead to higher quality work (Barab, Pettyjohn, Gresalfi, Volk, & Solomou, 2012). 4. Increased reading comprehension. No differences were found “in reading comprehension for students reading digital texts versus print texts” (Taylor, 2011). 5. Encourages interest in STEM careers (Beach, 2012). Simulation allows students to visualize or experience a potential career. 6. Requires distributed cognition, collective intelligences, and judgment (Barab, Gresalfi, & Ingram-Goble, 2010). 8. Game design can require combining the use of multi-modal, print and digital, literacies (Barab, Gresalfi, & Ingram-Goble, 2010). 9. Requires the use of content knowledge to solve problems (Barab, Gresalfi, & Ingram-Goble, 2010). 10. Allows for assessment of or evaluation of student comprehension (Shute et al., 2010). 1. Students will read more. Students who read e-texts read more than students who do not read e-texts (Rainie, Zickuhr, Purcell, Madden & Brenner, 2012). Furthermore, reading comprehension doesn’t seem to suffer when students read digital texts rather than print materials (Taylor, 2011). Many libraries have digital libraries from which users can borrow books for free. Putting a smartphone in a student’s hand gives him or her easy, free access to thousands of texts. One study found that middle school boys who were “reluctant readers” valued reading more after using e-readers (Miranda, et al, 2011). 2. Students will use social media to support their learning. According to Project Tomorrow (2012), 10% of high school students have posted a tweet about an academic subject, and 46% of student have used Facebook to collaborate with other students to complete projects. 3. The dreaded “digital divide” will be closed just a little bit more. Getting a smartphone in the hands of all students in every range of socioeconomic background will level the playing field for students who might have limited access to the Internet at school–and possibly no Internet access at home. According to one study by Greenhow and Burton (2011), low-income high school students who used online social networks were able to develop their “social capital” (i.e., their interactions with others benefited them). 4. Students will be able to share and collaborate with peers, teachers, and the whole world. The classroom of tomorrow will most likely involve the use of mobile devices like smartphones and tablets. Randolph High School in New Jersey launched a new learning lab that exploits the connectivity of mobile devices in order to promote information sharing and collaboration among students (New York Times – “What ‘Connected Education’ Looks Like). Students can also take advantage of the bounty of apps, such as Twitter, Facebook, and blogs, that allow them to share their work with the “public square” beyond their individual communities (Boyd, 2009). 5. Students like them more than laptops–which means they’re more likely to use them to learn. Teachers and parents are cool with smartphones, too. Project Tomorrow (2011) found that the majority of teens prefer using a smartphone over laptops for learning. One survey revealed that 51% of all students who enter high school have smartphones; nearly a quarter of K-12 students have one (http://blogs.edweek.org/edweek/DigitalEducation/2013/05/more_than_half_of_students_car.html). Project Tomorrow also discovered in 2012 that 54% of teachers and 70% of administrators use smartphones in their work. Parents are on board, too, with 64% indicating that they would purchase a mobile device for their child’s use in school. If everyone in the equation has positive attitudes toward smartphones, then there’s a good opportunity for taking advantage of their learning capabilities! 1. You don’t have to throw out the baby with the bathwater! Digital technologies can combine nicely with existing print materials through parallel pedagogy. New media can support paper-pencil tasks and traditional reading comprehension strategies. Digital tools allow students to communicate with real audiences for real purposes. By allowing students to collaborate with peers, its boosts motivation to produce quality work and engage in meaningful exchanges to increase understanding. Use of digital tools allows students to communicate with others outside the physical limitations of the classroom. Further, it allows learning to break free of the traditional school day. Learning can continue outside of the building and beyond the school hours. According to Emerson, “One must be an inventor to read well.” By incorporating digital tools into the ELA curriculum students are challenged to create meaning through multi-modal, visual, hands-on projects. Creating original content helps student understand and synthesize texts. Engagement is a prerequisite for learning. Digital tools can offer relevancy, personalization and authenticity to ELA projects. All of these can help boost student motivation to engage in content in a way that mirrors their technology use for social purposes outside of school. Digital media encourages students to use critical thinking skills as they learn to locate pertinent information, evaluate the quality and bias of digital media, and synthesize what is relevant. Use of collaborative tools helps expose students to a variety of perspectives, cultures and contradictions they must learn to negotiate in a socially responsible fashion. By opening students to a wide range of opinions, they learn to be receptive to differences. Digital tools allow teachers/peers to provide timely, personal feedback for written assignments. Teachers can video conference, share documents via platforms like Google Docs, or create shared spaces for students to peer edit. No longer will students have to wait several weeks for feedback to help guide them through the revision process. Teachers also gain sharper insight in to their students’ writing process by staying abreast of their students’ writing process through the affordances of digital collaboration. All blood, guts and violence. Designers can take pedagogical liberties to ensure lessons are experienced. A waste of time that will dumb down the learner. Designers can create worlds that evolve a players’ understanding of academic concepts. Flights of fancy that creates unrealistic situations. Learners have the opportunity to solve real-world problems and influence decisions. Sitting in front of a computer and not being social. Learners take on roles of protagonist, make choices that potentially can transform and can address socially significant problems. Bells and Whistles. Content can be positioned so that learners have to understand academic concepts in order to resolve game-world dilemmas. Contexts can be modified based on learner choices and creating consequences and meaning. Only for affluent learner groups. A study on high-need, inner city students showed that students engaged in a gaming treatment for reading comprehension scored higher and were more engaged than those in a control group (Barb & Ingram-Goble, 2010). Just for fun. Games can draw learners in and engage them by providing interest, time, passion and commitment. Gaming can liberate the learner and create challenging environments where they can feel a part of making decisions and influencing outcomes. Teaching: teachers can record their lesson and post on their website. Content reinforcement: teachers can post videos on their websites from an outside source (ex Khan Academy) so that students can have access to a video tutorial while completing assignments at home. This allows students to see content explained by someone other than their teacher. Animations and Illustrations: visual animations and illustrations can make content come to life for students. Teachers can try their best to verbally explain a concept and even use still images and diagrams. But, there are some concepts that can be understood so much better through the use of video. Students Create Videos: students use their interpretation of content and produce their own videos. Real World Content Connection: this could include a real application of classroom content, news clips concerning current events, etc. Video Games: student can engage in problem-based-learning that includes the elements that Barab et. al. speaks to (person with intentionality, content with legitimacy, and context with consequentiality). Explore the World Virtually: teachers can take students on virtual field trips to multiple locations. Introduction to Content: teachers can hook students into a new topic by showing a short preview of a topic or book. Interviews: students can speak with experts in a particular field view Skype or another web-base video chat medium. Feedback: teachers can record short videos to give a class or an individual student feedback on an assignment. Students can also do the same and give feedback to each other or record a question that they need to ask the teacher or other students. Majority of middle and high school students prefer using their cell or smart phones over laptops for learning. In mathematics and science classes in which technology is being used, students are more likely to express interest in a STEM career. English teachers, stop making your students write independently. Ask your students to try Relay Writing – extending each other’s store lines results in a higher level of engagement. Stop focusing having your students focus on facts by having them read independently. Try collaborative reading where students can foucs on sharing ideas and adopting alternative perspectives on those ideas. Position the student as an expert performer. Create an ill-structured problem-solving environment. Help students increase their confidence in their decision-making processes. Provide students with dramatic agency – the ability to make decisions that affect the game. Make conceptual understandings essential to game decisions. Encourage risk-taking and toleration of failure. Design games that adapt to player’s decisions. Make games open-ended, with no clear-cut answers. Decisions should not be terminal; students must be allowed to learn from their mistakes. Support the four types of content engagement: procedural, conceptual, consequential, and critical. Encourage critical self-reflection of decisions and consequences. Manage the tensions between explicit vs. implicit content, noisy vs. tailored context, and engaged vs. detached person according to learning goals. When evaluating your game, begin at the close level (in-game performance) and proximal level (related classroom performance). Once satisfied, evaluate the impact at the distal level (external, general performance). 1. Students live in the convergence and participatory culture. According to Jenkins, convergence and participatory culture in online learning really expanded the context, connectivity and interaction. Media users (students) freely create and edit contents. They actively participate in searching for the information they want and need. The new Web 2.0 culture allows them to contribute to the community of knowledge. 2. Students are digital natives. It’s hard to deny that today’s students grow up with new technology. They use computers, mobile devices like iPads, kindles or cell phones everyday. They play videogames, listen to music from digital players, and communicate with each other with text messages. No wonder why their generations are described as digital natives. Technology is a part of their lives and it’s difficult to neglect such an intensive use of technology when you think of designing a course. 3. But at the same time, they need guidance. However, how much time students spent in using technology doesn’t mean they know how to use the tool in a responsible and engaging way. They need to learn how to read and write with this new technology but also how to think and share based on their own experiences. And teachers and parents need to help them to understand and develop the competence, which is called as digital literacy. 4. New and different from the traditional learning skills are needed. For success of learning with the Internet, new and different sets of skills are needed. For instance, students need the skills to access and use various media, criticize and evaluate media messages, and construct the contents and communicate with others. 5. Digital literacy can be considered as a new learning competence. Digital literacy is an extended concept of literacy. It still means the ability to read and write but also puts emphasis on the knowledge of interpret, criticize or interact that related to a specified subject. It includes the ability to identify themselves and appropriate knowledge and information, to communicate with others through interaction, sharing, and collaboration, to analyze the credibility of reference source and suggest critical alternatives in problem-solving for themselves and their community. 6. Plenty of educational resources are available. Various types and forms of Web resources are available to teach students digital literacy and support them to practice. Social medias ignite to connect individuals to the rest of the world with their strong interactive features, mobile technologies help students engage in learning. Creative software or apps are useful tools for someone would like to express their thoughts, opinion, or any ideas. Class activities and curriculum corresponding to each of these platforms suggest various experiences to understand and practice digital literacy. 7. Existing social problems can be prevented when students realize what is their responsibility of using Web. Away from educational purposes of digital literacy, ethical and social needs are exist in current society in students’ use of Web 2.0. Recent social problems like indiscreet and harmful contents on the Web or invasion of privacy represent what people are expected from educators. More and younger students have been exposed to these problems, so the digital literacy education should be done throughout K-12 level. When they understand how to utilize this new technology wisely and responsibly, they can really take advantage of the technology and contribute to the society. Whether you are in a traditional print-based classroom, make use of a classroom media center, or have a 1:1 device classroom, all teachers are asked to make some routine practice of activating digital media to enhance learning. The six suggestions below are a basic set of digital exercises inspired by current web-based tools that will help you better understand and create a dynamic digital learning commons. Like all exercise, you need to mix up your routine with new methods and old standards. Whether you are pre-service, or a veteran, these skills will keep you relevant and useful to your students. 1 Make a blog. Blog about anything you want on any platform that suits your user needs. Tumblr, Instagram, WordPress, Blogger… It’s really about assembling purposeful content and expressing yourself to an audience. Blog, vlog, or glog about your interests, portfolio, research, or anything that inspires you. 2 Create a wiki. A successful wiki helps generate evolving contributions, typically from a group. Wikispaces, Google, Weebly, and countless other resources provide the backdrop for collaboration. Collect metaphors found in independent reading, track a threaded discussion, make a schoolwide toolkit, or write a group article. There are lots of creative ways to build and organize the content and levels of participation. 3 Organize data on a cloud. Become comfortable with file and folder organization crucial to good research and workflow while recognizing the potential to backup a wide variety of digital data in virtual space. Create a personal learning network of searchable and shareable stored knowledge using university sponsored storage like UTBox, free public services like Google, or paid subscriptions like iCloud. 4 Use the semantic web. Support collaborative knowledge construction on the web by using and contributing to data standards. Search for information, navigate search results, tag the results, annotate the content, map the data, link the resources, share with a network, and reflect with them about learning. Knowing not just how to find information, but how to apply it to new learning and identify its usefulness to others. 5 Manipulate digital media. Though digital video and sound production require advanced tools, everyone can feel empowered to make media for personal and classroom use. Start by organizing a folder of select images. Then make a slideshow with iPhoto or a presentation with PowerPoint. Try to add color, sound, or text. Make a Prezi or GoAnimate with compelling storytelling devices in mind. Explore identity and voice in charismatic ways that leave a lasting impression. 6 Experiment with social media. Find a local or global social networking site that interests you and join it. People converge upon a variety of sites that can be social, academic, professional, and often a mix of many things. Learn how to discern healthy online social settings from toxic ones. Take time to observe and participate in interactions like sharing, commenting, role-play debate, and good old fashioned opining. Technology teaches us that like its progress, this list is also fluid. But no matter what the trends, relevance and motivation will remain constant desires for all learners. Practicing new digital skills will help keep you connected to fellow educators and your audience of learners. With the rapidly changing nature of emerging technologies and their use, it is unreasonable to think that teachers will be able to incorporate them into their already hectic schedules without some guidance. The article and accompanying videos in ” What ‘Connected Education’ Looks Like: 28 Examples From Teachers All Over” is a great example of the kind of information that educators should be provided with to help them innovate and incorporate new literacies into their lesson plans. 2. Foster a social community between educators and provide professional development. Richard Beach says in Uses of Digital Tools and Literacies in the English Language Arts Classroom, “One possible explanation for students not employing digital tools for learning is the lack of professional development in uses of digital tools. In a survey of 1,441 U.S. literacy teachers, 81.6% of teachers reported that a lack of professional development on how to integrate technology is a barrier to its integration (Hutchison & Reinking, 2011)” (pg 47). Educators need professional development to understand the technologies and what they should (or shouldn’t) be using them for in the classroom. A social network among teachers will allow them to have a shared meaning of what is required of them and facilitate an exchange of ideas that will benefit all. 3. Allow students to understand new literacies and how they affect them through creation. In order for students to really learn new literacy tools, understand how they can affect their lives, and how they affect our society in general, students must participate in the creation of new media. As Beach says “Students’ video production also enhanced their engagement and critical analysis of issues in their lives as well as led to redefinitions of their deficit identities (Vasudevan, 2006). Through their video productions, marginalized students explore alternative identity constructions constituted by their alliances with alternative cultural worlds (Rogers, Winters, LaMonde, & Perry, 2010)” (pg 51). 4. When possible, digital experiences should simulate real world experiences. Barab, Gresalfi, and Ingram-Goble say that “Realistically, students rarely have the opportunity or the ability to solve a real-world water-quality problem or to write a persuasive article to determine the direction of a community decision. Yet in the sheltered story line of a fictional video game world, we can create this opportunity and make the role and its significance quite believable. Because the player is driving the unfolding story line, it becomes, in a very real way, the player’s own story. Moreover, in a game, failure is tolerated and risk taking is encouraged; players can experiment with conceptual understandings and learn from the impact of unproductive choices” (pg 526). Simulating real world experience allows students to “play” and manifest a deep understanding of why some things work and why they don’t in a way that might not be possible in the classroom or on the job. Allowing them to fail in a safe environment can also help boost confidence and provide motivation. 5. Use technology and new literacies when they are appropriate. Sometimes traditional classroom methods may be more effective. Sometimes using technology may not be appropriate and it should not be used just because it is available. While aiding students in developing new literacies should be a priority, no student should be under the impression that new literacies are “better” than traditional ones. In regards to a study showing that students use web technology more outside of the classroom than in it Beach says “These results indicate that there continues to be a disconnect between students’ use of digital tools outside versus inside school, suggesting the need to revise school policies to provide greater use of mobile devices and online textbooks, as well as access to online content” (pg 47). I would ask why? If the students are using digital tools, and they are teaching themselves new literacies, why should it be a priority to focus on them in the classroom. It does seem appropriate to assess those students understanding of new literacies, but changing school policies to include digital tools, just for the sake of trying to match outside-of-class usage seems unreasonable. 9. Social Media (http://www.twitter.com, etc.) Social Media tools such as twitter or Facebook allow students to share their work with a larger audience and they can see the value of sharing with the larger public. 8. Wolfram Alpha (https://www.wolframalpha.com/) With Wolfram Alpha students move towards the informational / accessibility literacies or the ability for students to process, access, and analyze online content. Students learn how to search and analyze their searches properly and critically. Students need to examine sources for accuracy and reliability. 7. Ponder (https://www.ponder.co/) This digital tool allows students to add “micro responses” to any web page. Allows students to engage with the written or video material and say specifically what they are engaged with. Assists in teaching techniques of higher-order critical thinking. 6. Diigo (http://www.diigo.com) Diigo has students work in collaborative knowledge construction. Diigo is a social bookmarking tool as well as a collaborative annotation tool and discovery tool. It allows for better organization of sources and research as well as sharing information with a broader audience. 5. ARIS games (http://arisgames.org/) ARIS games allows students to create and play mobile games. ARIS offers an open source, accessible framework that allows building of games, tours and interactive stories where student experience a virtual world of characters, items and media in a physical space. This allows students develop a gaming literacy that in turn increases motivation and engagement with the content and curriculum. 4. Readmill (http://www.readmill.com and other ebook readers) Readmill and other similar ebook readers allows for easy access to materials as well as annotation and note taking tools. Some tools also allow for collaborative annotation and note taking. 3. Padlet (http://www.padlet.com) Padlet allows students to collaboratively build “walls” similar to digital cork boards with post-it notes, allowing students to engage in the creation cycle as well as a collaborative work with other students. This allows for collaborative knowledge construction and reflection from building timelines, to brainstorming, to reflecting on readings and literature. 2. Tellgami (https://tellagami.com/) Tellgami is a story telling tool on the iPad / iOS devices that allows students to create short concise digital stories. It allows for narration and animation which allows students to have a sense of creation while experience multimodal communication. 1. e-Portfolio systems (such as LMS built in portfolios, targeted portfolio apps or home grown portfolio systems with WordPress or other mainstream tools) e-Portfolios allow students to reflect on their learning including reflecting on how things have been acquired and how to further improve in the future. e-Portfolios allow for organizing, collecting, annotating, and reflecting over a long period of time. They also teach web authoring through a wysiwyg format. Video games can offer learners transitional play, which combines content, context, and learners. In game situations learners must use what they have learned and understood to make decisions which carry in game consequences. These are decisions and consequences that are either impossible to carry out in a traditional classroom due to context (ex. learning mathematical equations vs. constructing buildings) and content (ex. updating textbooks vs. internet). Video games offers students the opportunity to be active learners. Players often times create in-game avatars and become protagonists in a game world. Decisions players make in the game may be able to have an effect on the game world. Students can safely try out things in a game that they might not be able to do in real life. This experience differs greatly from the passive learning that often takes place in a traditional classroom through textbooks, lectures, and worksheets. Video games provide players opportunities to figure out appropriate times to apply content. Players must determine what consequences might result from specific applications of understanding in the form of in-game decisions. This style of learning contrasts a more linear approach that is used in the traditional classroom, where teachers present information to students in isolated, disconnected learning activities and often times do so in a procedural way. Video games offer authentic feedback. Instead of receiving a graded paper back from the teacher, students receive in-game feedback related to their in-game decisions that mimic what would happen in the real world. 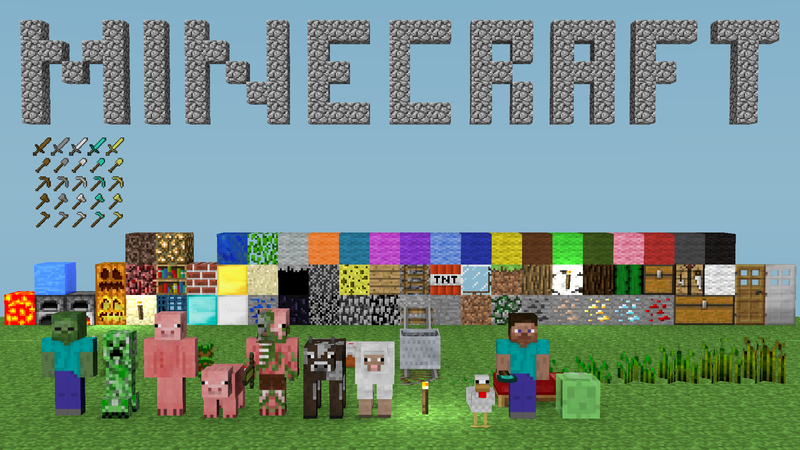 Video games engage students in learning while improving understanding. Richard Beach sites a study done by Barab, Pettyjohn, Gresalfi, Volk, and Solomou in 2012 which reports that gains in writing quality by students were higher using game-based learning versus students taught by the same teacher using story-based instruction. The game-based group of students were also more engaged.